UPDATE (1/18/2019): I will say tentatively, they have fixed their sourcing issues. I contacted them about all the bad rolls of filament I had received. They sent me replacements for all, and so far, the replacement filament is working well. Now, I only have about 1/3 of one roll and 1/4 of another used. Things could change, but the bad rolls all failed by this point. They have green colored stickers on their side, on the new rolls (and it shown on Amazon). UPDATE (1/9/2019): Hold off on buying this filament. Since I did this review, 8 months ago, Dikale has been my go-to filament. I really did love this stuff… key word, DID. Over the past 2 months, it seems that EVERYTHING they have sent to me has been brittle. It breaks before making it to the extruder?! I’ve already had to toss 1 ptfe tube trying to clear it out. I really don’t know what happened, but they went from my favorite filament to most despised. I wouldn’t buy it until they fix their issues. (I WILL say, that the latest offerings on Amazon have different spools. They may have changed suppliers). 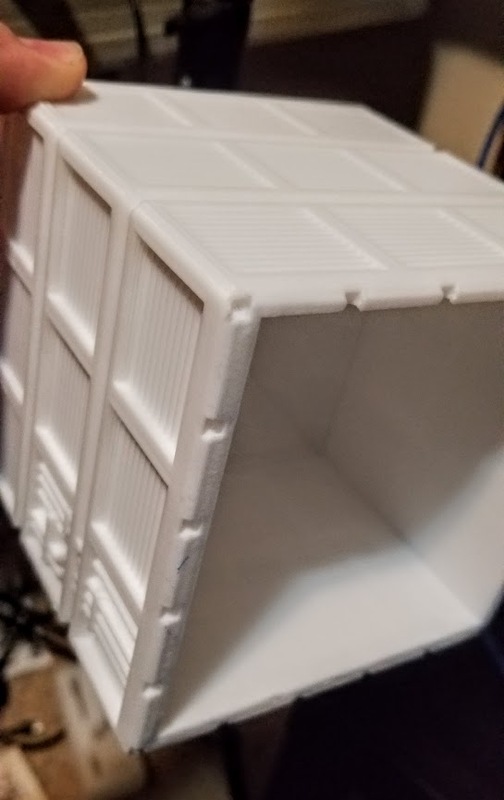 I had a representative from Dikale talk to me about their PLA filament. I want to let you know, they promised to reimburse me for a review on Amazon. I’m also including it here. 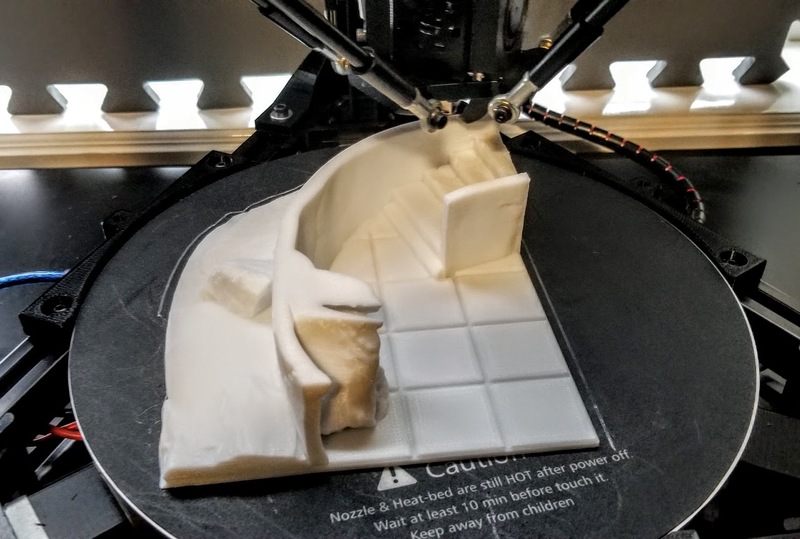 I was happy to do the review, since I like to find these low-cost filaments to print with. The Dikale 1kg PLA filament is like many other, low-cost filaments. They seem to require a little tuning, and then work well. I’ve gone through the entire roll in the past weekend. 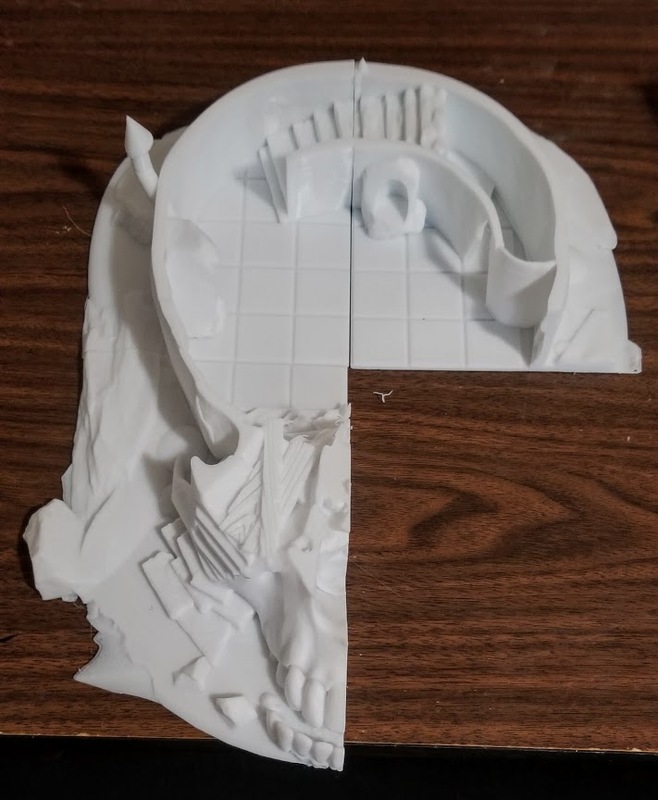 Since this site is about terrain, I printed terrain. The first piece is a pre-release piece from Warlayer, that is a cubic building that looks really good. It did show that my normal PLA settings were a little off. I had to run the extrusion multiplier up to 1.05. For other PLAs, I generally use a multiplier of .95 to .98. That is the only one that I changed. After I was done with that building, I started to finally build the Giants’ Skull Witch Hut by Battle Boss Industries. I picked up this low-cost filament and printed the two models I mentioned above. I was very happy with them. They look good. I am very happy with this filament. It has printed my models well. I printed everything at .15 to see how well they look. Besides the first print that let me know the filament is slightly on the small side, everything has been coming out great. 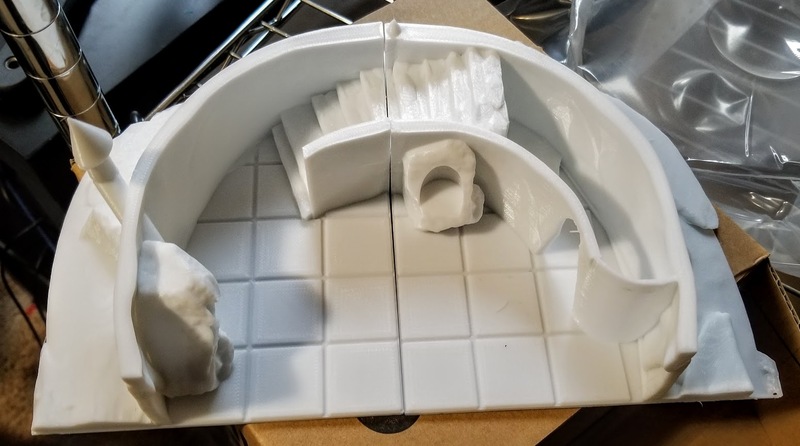 I was able to get 3 sections of the Witch’s hut printed before running out of the filament. It ran pretty much day and night to get it done. It sticks to the bed on my Anycubic Kossel Linear Plus and releases well too. The layers seem to be well formed though it is a little more brittle in small areas than I prefer, it still is not that bad in my book. In all honesty, this is a filament I would buy a again at the $15 price point it seems to hover around. It’s not my favorite at that price point, but the stuff I like jumps up a few dollars regularly, and if it does, this will be what I purchase. I only printed the white filament, so you may have a different experience with black. The white itself is a nice, creamy white that is fully opaque. The “color” of the white is outstanding. In a 5 point system, I’d definately give the Dikale 1kg PLA filament 4 stars. This is not a “premium” quality filament, but for $15, I don’t expect it to be. I expect it to be a low-cost filament that gets the job done at a low price, and it does that very well. With terrain, there is not a lot of stress put on it. It needs to hold up to some use, but that is all. Because this particular model is so large, I think I’ll end up putting it on an MDF board. It’ll also be primed and painted, so while I like the color, it won’t remain that when finished. You can find out more about low-cost filaments from my article, Does Price Indicate Quality? article. 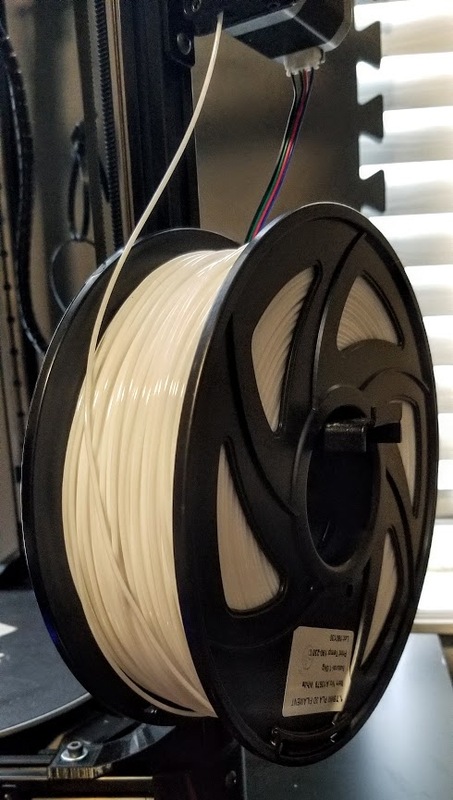 If you have any experience with this filament, please let me know in the comments or let me know about other inexpensive filaments I should check out. I am glad I found this article. I have been printing with this filament as my first ever to use. I got me an Ender 5 a couple f weeks ago, and have been trying to tune it with this filament. It has been a real pain trying to get the webbing out of it, and I was beginning to think it was my printer. Everyone else claims they do not have any issues. I guess I will try another brand to see if results are the same. I am mixed on whether I want it to be or not, since I have 5 rolls of it in various colors. Thanks again for your gret review. I will be looking for more as well.